Manchester235 is all about Las Vegas glamour, dramatic design, style and excitement. It’s unlike anything else the city has to offer – and it’s open 24 hours a day. This entertainment destination fuses state-of-the-art gaming with award-winning dining, the hottest bars in town, live music, party nights and more. It's also home to the biggest and best poker brand on the planet: World Series of Poker. 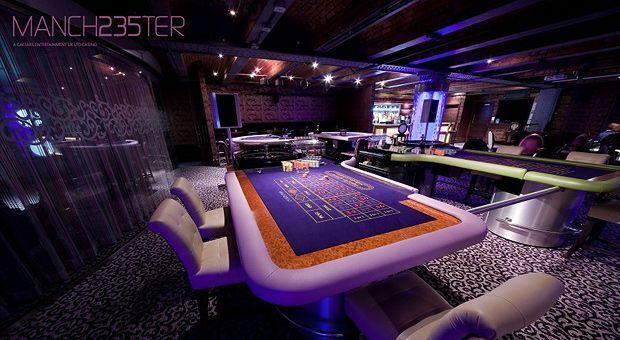 On the casino front, Manchester235 boasts 22 gaming tables, 18 slot machines and 37 Electronic Roulette and an exclusive Poker Lounge. No membership is required to enjoy the Manchester235 experience but we do have a loyalty programme that brings benefits you’ll love (including free parking! ).